A natural insect repellent has been removed from the shelves of a St. Norbert farm due to violations of Health Canada regulations. 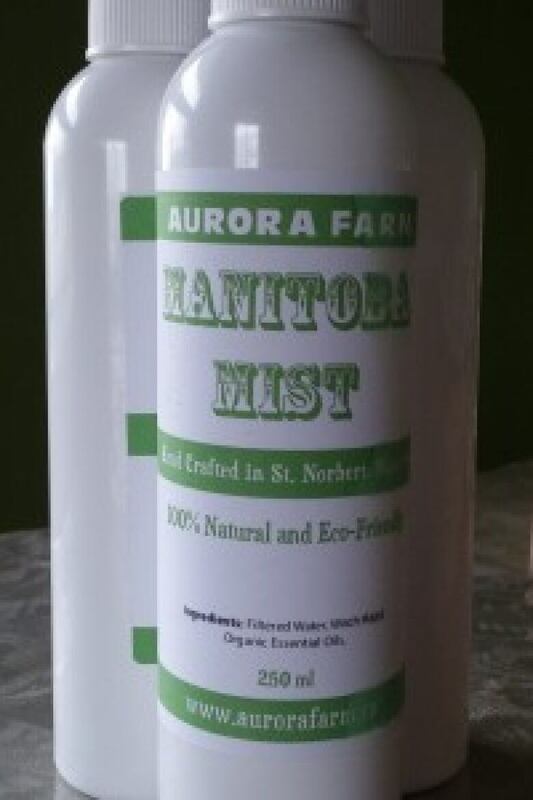 Manitoba Mist, a natural insect repellent, has been removed from the shelves of a St. Norbert farm due to violations of Health Canada regulations. Aurora Farm, known primarily for the natural goat's milk soap sold there, received notification from Health Canada in July that it will no longer be permitted to make, or sell the product for the time being. Health Canada cited that all products used for pest control, including bug repellents, need to be registered under the Pest Control Products Act. "Please be advised, Manitoba Mist must be registered to continue to be manufactured or distributed in Canada," the Health Canada letter read. "Now this didn't really come as a surprise to me. I was expecting it to happen, just not how it happened," Louise May, the owner of Aurora Farm, told CBC News. May said she was aware that all bug repellents needed to be registered and so she did not market the product as such, but instead as a "natural body care" product. Health Canada took notice of Manitoba Mist because it was marketed with the tagline "does not contain deet" and was mentioned in a CBC News article comparing its effectiveness against other insect repellents. Manitoba Mist has the following listed as ingredients: water, witch hazel, eucalyptus oil, citronella, tea tree oil, lemon grass, rosemary and lavender. "For natural products such as mine, where all of those ingredients are easily available and, in fact have been known for centuries, in some cultures, to be bug repellents - that really is not the same thing as a newly-invented petrochemical product," May said Wednesday. The cost and length of time it would take to register the product aren't worth it, May said. She has removed the product from her shelves and her website. "I've been told verbally on the phone, that it will cost me anywhere upwards of $180,000," she said. "That's far too expensive for me to pursue." Health Canada was unable to confirm or reject that cost estimate. But in a statement they said, "Costs associated with the registration of a new pest control product depend upon the number and type of studies required to conduct a thorough risk assessment to determine if the product can be used safely. A free pre-submission consultation is offered by Health Canada, during which the types of and number of studies are identified, and the expected costs." May will carry on selling her other natural products but she said the additional business will be missed. May estimated that she sold about 4,000 units of Manitoba Mist in each of the last two years that she has been making it. Health Canada said that the registration is in place to keep Canadians of current and future generations safe, as well as the environment. May has decided that in order to continue serving her customer base, she will post the recipe for the mist online and sell the ingredients individually at her farm. "To me supporting my customer base by offering it that way is more important than a fight that I simply can't win."